Shanghai Art Deco ConversationsVideo chats with key Shanghai Art Deco people. During the Art Deco era, the 1920s through the 40s, Shanghai was the very essence of a global city: Foreigners in suits shared the street with locals in chang pao, you could get around via rickshaw or tram, and the imposing European buildings of the Bund faced Chinese junks and fishermen in the Huangpu River. East meets West in Art Deco era Shanghai. Dong Dayou’s “Ming Revival” Chinese Deco Shanghai City Hall. There was Dong Dayou, a University of Minnesota graduate whose “Ming Revival” designs for the Greater Shanghai Plan buildings remain perhaps Shanghai’s most dramatic Chinese Deco (we’ll cover these an upcoming post) and George “Tug” Wilson’s Royal Asiatic Society building, a Chinese Deco classic. Perhaps the most iconic Chinese Deco building, though, is Luke Him Sau’s (Lu Qianshou) Bank of China headquarters on the Bund. One of the first Chinese architects to be trained at the Architectural Association in London, Luke’s Bank of China is an excellent example of how Chinese Deco modifies traditional Chinese architecture: The Chinese roof with its extensive, sweeping eaves is simplified into a smaller, more streamlined version. Lines down the front of the building are reminiscent of traditional Art Deco speedlines. Interestingly, Luke’s original design incorporated no Chinese elements, but it is likely that leaders in Chiang Kai-shek’s government, with its capital in Nanjing, insisted on a more nationalist approach. American-born Poy Gum Lee trained at the Pratt Institute New York before moving to Shanghai in 1923. He came to China for the YMCA Building Bureau and designed 12 YMCAs in China before starting his own practice in 1927. 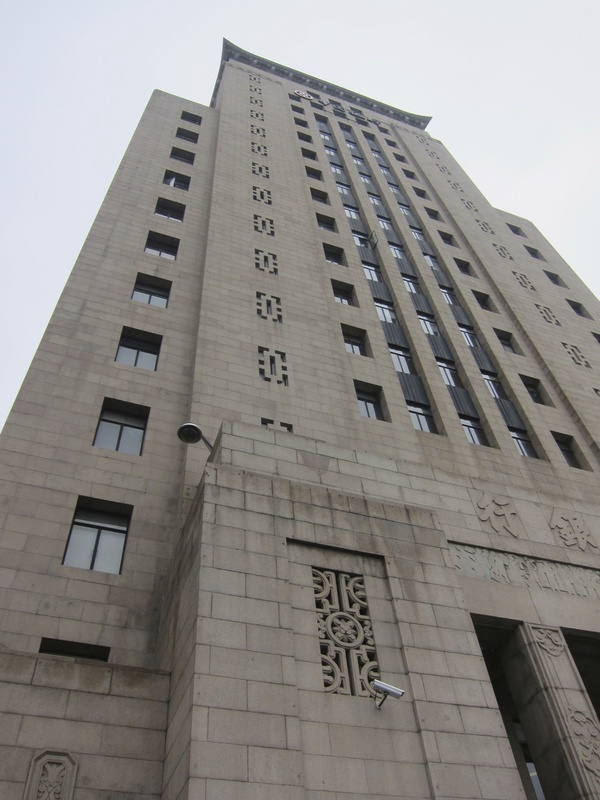 In Shanghai, Lee is known for the two Chinese Deco buildings: the YWCA as well as the Chinese YMCA (1931), which he designed along with fellow Chinese Deco master Robert Fan. 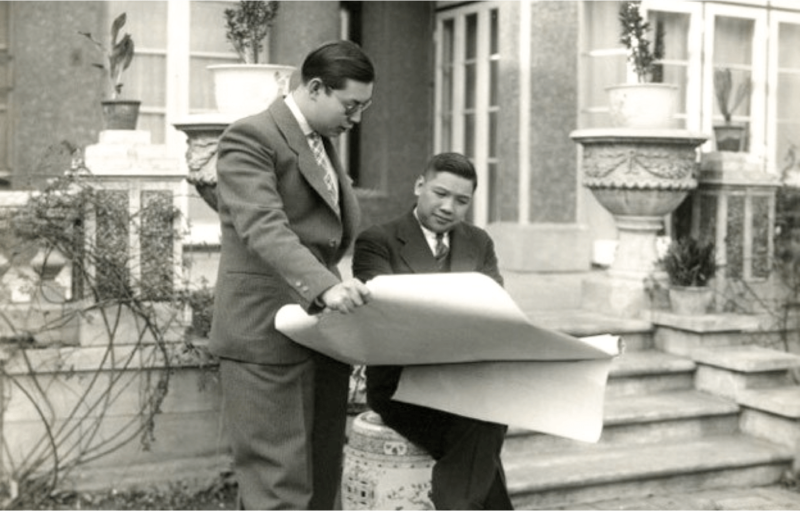 What would a post about Chinese Deco be without a mention of Robert Fan? Trained at UPenn, Fan returned to his hometown of Shanghai to design some of the city’s most impressive buildings. The Chinese YMCA (necessary because the foreigners didn’t let Chinese people into their YMCA), combines typical elements of Chinese architecture (the roof, for example) with Moderne lines. 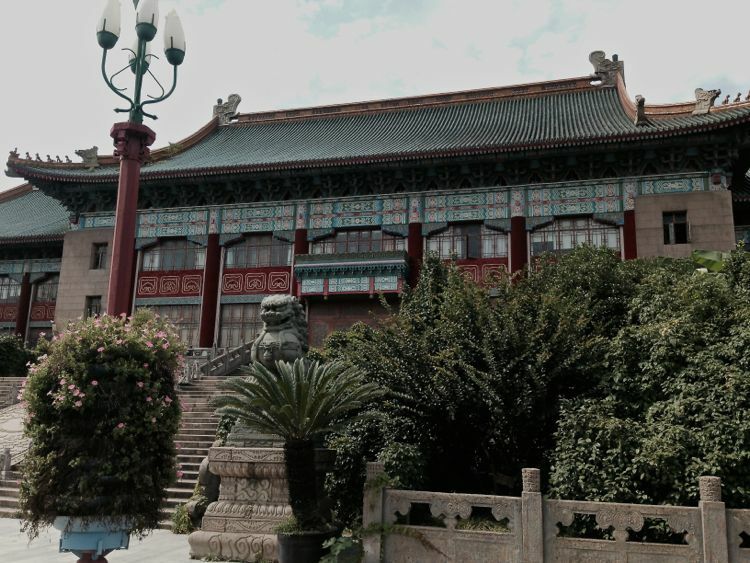 The result is typical of Chinese Deco – a tall, square, Western-looking building with a miniature Chinese roof. 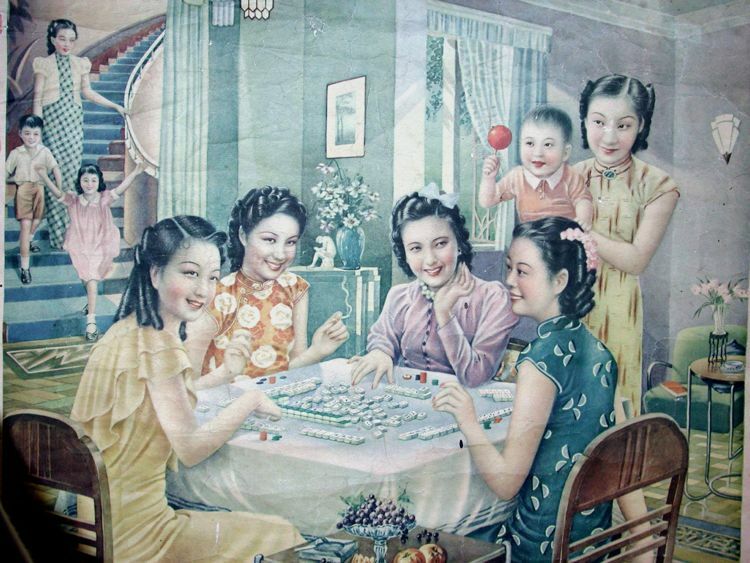 It wasn’t just the exteriors: interiors, too, received the Chinese Deco treatment, from stylized characters to traditional patterns gone Moderne. Some of Shanghai’s best interior Chinese Deco includes the Fairmont Peace Hotel’s Dragon & Phoenix Room, Poy’s YWCA, the former Shanghai Municipal Government building and Library in Jiangwan and the Chinese YMCA. 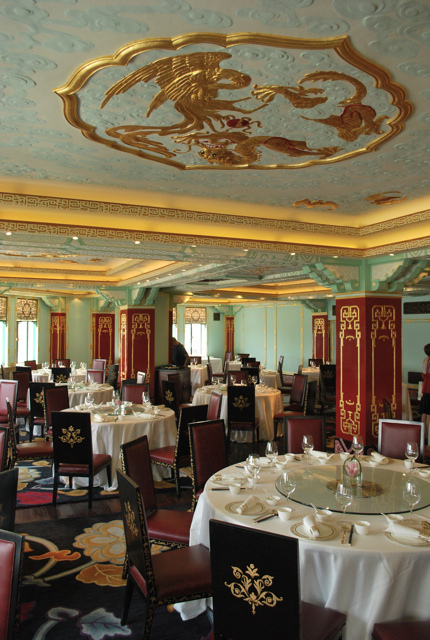 The Chinese Deco Dragon Phoenix Room at the Fairmont Peace Hotel.